In winter, many people start having dry skin. Due to this the skin looks lifeless and juicy. But we can overcome this problem through some domestic remedies. 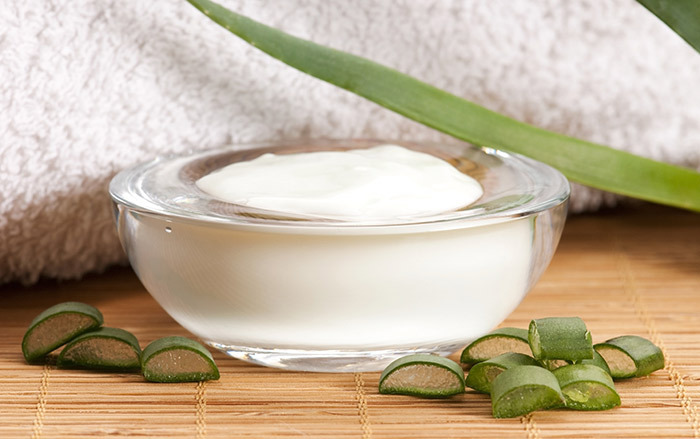 For this, we have to make some night cream that moisturize the skin overnight. Applying them daily before sleeping increases the skin glow and the problem of dry skin is also removed. Olive Oil Cream: Prepare mixture of half cup olive oil with two teaspoon coconut oil and one teaspoon honey. Heat it. Mix two capsules of vitamin E. Apply it on face before bed. Glycerin Cream: Heat one teaspoon almond oil and coconut oil. Mix one teaspoon glycerin and rose water in oil. Apply it on face before bed. Cocoa Butter Cream: Heat two teaspoon cocoa butter, one teaspoon olive and coconut oil. When it becomes cool apply it on face before bed. This increases glow of the skin. Green Tea Cream: Heat one teaspoon almond oil with honey. When it becomes cool mix one teaspoon grind green tea, rose water, aloe vera gel and lavender oil. Apply it on face before bed. Aloe Vera Cream: Prepare mixture of two teaspoon aloe vera gel, lavender oil and rose water. Apply it on face before bed regularly. This increase glow of the skin. Milk Cream: Prepare mixture of one teaspoon milk cream, rose water, olive oil and glycerin. Apply it on face before bed. This increases shine of the face. Apple Cream: Prepare paste from two apple seeds. Mix two teaspoon olive oil and turmeric and heat it. Mix two teaspoon rose water when it cools. Apply it on face before bed. Almond Oil: Heat one teaspoon almond oil and two teaspoon cocoa butter. Mix one teaspoon rose water and honey when it cools. Apply it on face regularly before bed.